Brief synopsis: Daniel Wilkinson was once Deming Guo. That is, until his mother disappeared and he was adopted by two kind White parents. This novel is told mostly from the perspective of Daniel, with some chapters from the perspective of his mother, Polly. The Leavers is a story that demonstrates difficult choices and the struggle of being an immigrant in America. The Leavers is not my typical genre, but more and more I'm reading outside the box of what I deem to be typical for my reading style (aka thrillers). What The Leavers is though, is a story of love, loss, and bravery. It's a story that speaks about doing what is right and what is easy. I was particularly drawn to the story in this novel because it talks about what it's like to be an outsider. It shares a story of White privilege and a story of being treated different via microaggressions and political policy. I am only a minority as a woman, but I was born with the privilege of being White. People of Color face struggles everyday. While I advocate for Black lives, I also advocate for Asian lives, Hispanic lives, Native lives, etc. The Leavers is a story that gives the slightest bit of input on what it's like to not be White in America - and what it's like to be an immigrant caught within the country. I appreciated getting just the tiniest bit of insight into a life of someone that faces struggles that I do not. While this is a story of fiction, I was moved by this novel and the truth it holds for so many. One of the things I didn't like about this story was how it jumped around a bit (timeline-wise), which was sometimes confusing for me. I would have to flip back to make sure I was understanding what I was reading and where exactly I was within the story. Additionally, the novel was pretty slow-paced; not necessarily a story full of excitement or very climactic. Regardless, the novel was beautifully written and told a story of bravery. I am glad I read it. I received this novel free from Booksparks for review, however, all opinions, as always, are 100% my own. Great review of this book! It's been on my TBR for a while but I still haven't got around to reading it. 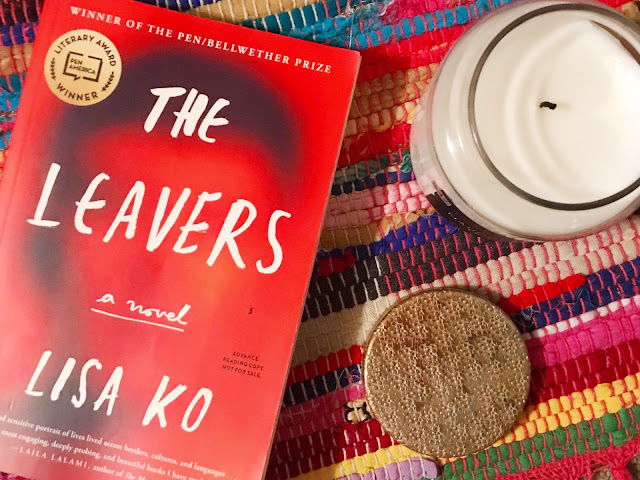 This past weekend I went to Brooklyn Book Fest and I saw Lisa Ko talk about her book and do a Q&A which made me want to read this book even more. That is so awesome! I would have loved to hear her speak. This book was so beautiful, and I'm sure some of it might have come from her own experiences. This book's definitely worth the read, so I hope you get around to it soon.